Have you ever scrolled your Facebook feed and watched as your friends and family post photo after photos and status after status of their grand vacations, new cars and outlandish whatevers? If so, you might have felt a small pang of jealousy. It can be hard not to. There you are, sticking to your personal budget, trying to live a frugal life and it can almost seem as if those expensive trips and toys are being flaunted in front of you. Then, that jealousy is made even worse by the fact that it seems once you notice it, you see people flinging money everywhere. I promise you that they’re not. I also promise you that can live a frugal life without being miserable and thinking that you’re missing out. 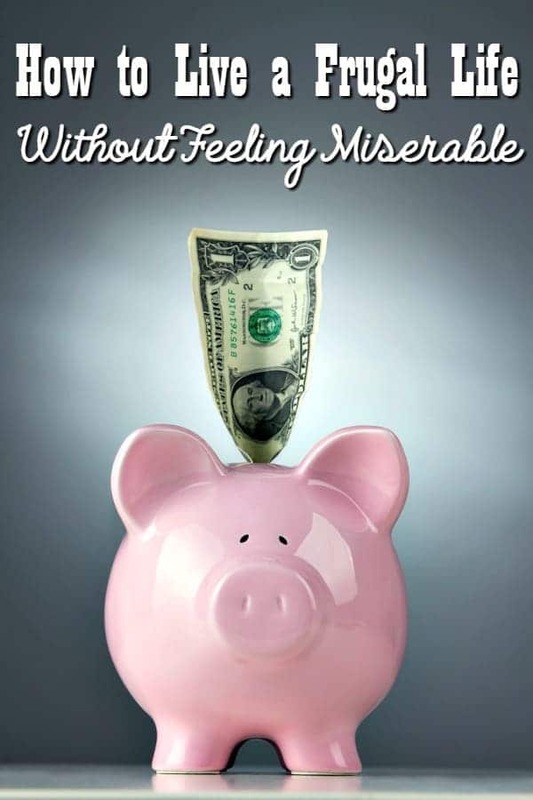 There seems to be a common myth that to live a frugal life, you must be miserable. That couldn’t be farther from the truth, but I can see how easily it is to believe. It’s easy to get discouraged if you’re working to save money, but seem to be surrounded by people who appear as if they aren’t. It is easy to be a bit miserable about the fact that you do everything you can to save money and that you can’t go out and spend whenever you’d like. Living a frugal life really is a lifestyle and it can be hard to see past the want to do things and the desire to spend. Living a frugal life doesn’t mean that you have to be miserly. It only means that you need to be wise about how you’re saving and spending your money. I go into more detail about this in my book,(also called) Six Dollar Family, but being wise is the best way to avoid living a miserable life where you’re known as a cheapskate. When we make unwise spending decisions, we not only set our personal budget up for failure, but we set ourselves up for financial disappointments over and over again. Luckily though, there are a few things that you can do to help yourself live a frugal life without being miserable and without feeling miserly every day. You may see your neighbor or friend being able to do all these things you can’t do, but when you start feeling those jealousy pangs, consider the debt that they might have taken to accomplish. You don’t know other people’s financial situations. If they are using credit for all their endeavors, they won’t be able to do those things forever since eventually they will either die leaving a mountain of debt for their family or hit their own credit ceiling and have to work for years just to pay it all off. Ask yourself if it’s really worth it for you and your family to go through all of that to live like everyone else does or if it would be better to instead save the money and pay cash. If you really want to go to Hawaii like your neighbor, you can! All you have to do is find a way to do it that fits in your budget so that you don’t put yourself into a financial bind. Start by updating your personal budget to see where you can save extra money at then create a vacation fund. You could even open a checking account or a open a savings account specifically for your vacation fund so that you’re not as tempted to spend it. When the time comes, make sure to do your research on the expenses that you’ll have. Use a site like Trip Advisor to find activities and book your hotel rooms or buy airline tickets, try to fly during off peak hours, use cash when you can and any other ways to save on travel that you might come across. The research that you’ll do might take you a couple of hours, but it will be well worth it. CityPass is another great way to save money on vacations or local attractions. Sometimes you can save as much as 60% off by purchasing a CityPass. Another awesome way to save on things around your own town or city is by picking up an Entertainment Book. It is filled with thousands of dollars worth of coupons each year and is sure to save you big without it feeling like you’re being deprived. Finally, taking the time to create a Groupon account can save you really big. Not only can you save on fun, but you can save on more mundane things such as your oil change. Life is meant to be lived, and in reality, we can’t take money with us when we leave this world. With that being said, you don’t want to blow all your money and be irresponsible, but it is important to set aside time and money for enjoying life. This means that even when you’re saving money or working toward a financial goal, you do still need to set aside money in your budget for fun. It may only be twenty dollars a month for a quick trip to McDonald’s, but that twenty dollars will keep you from going hog wild. When we don’t give ourselves that little bit of the break that we need, the rest that we need from what can become a very tedious journey, we set ourselves up for a moment where we just yell “screw it all” to the money keepers and suddenly we’ve found ourselves spending everything we worked so hard to save. If you absolutely can’t add family fun into your budget, there are plenty of frugal family fun activities that don’t cost a dime that your family could do! Did you know you can get huge discounts and free activities just by asking for them? Seriously, I have yet to meet a business owner who doesn’t want good old fashioned word of mouth advertising. Sometimes you may only be able to score free parking but other times, you may actually be able to score your entire vacation, meal out or other family activity totally free! Another way to go for free is by using gift cards. There are quite a few companies that will pay you free gift cards in exchange for doing surveys, tasks or watching videos for them. I use a mixture of 39 ways to earn free gift cards online to earn mine and then use the gift cards for everything from vacation to buying Christmas gifts and even paying bills or buying groceries for free! If you’re the type who likes to write, you could also learn how to start a blog. This would give you the chance to write reviews for destinations or products in exchange for getting them free! Anything that you can get free keeps money in your budget which means it is totally worth the time it may take you to work out a deal. If you have to pay for something, try to shop someplace that will give you rewards back. Grocery fuel rewards are a big example of this. You purchase your groceries at a specific store and in return you save on each gallon of gas that you purchase at their station. Store bucks such as CVS Extra Care Bucks are another way to get paid some of your money back. If you have to purchase online, you can still earn rewards and a bit of your money back. When you sign up for an Ebates account, they will give you a small portion of your purchase back as cash back. Yes, you heard me correctly, they pay you to shop! Plus, when you shop through Ebates, they will give you a $10.00 FREE when you make your fist purchase of $25 or more. I have used Ebates since 012 and it is a huge help for my budget! I’ve gotten over $2,000 in cash back since that time! While you’re not trying to make yourself miserable, you are trying to save money which means that you do need to cut expenses where you can. In my book, Six Dollar Family, I give practical tips to save money that won’t make you miserable. Yes, some of them will be too much for everyone, but the majority of them are incredibly easy to implement and follow along. 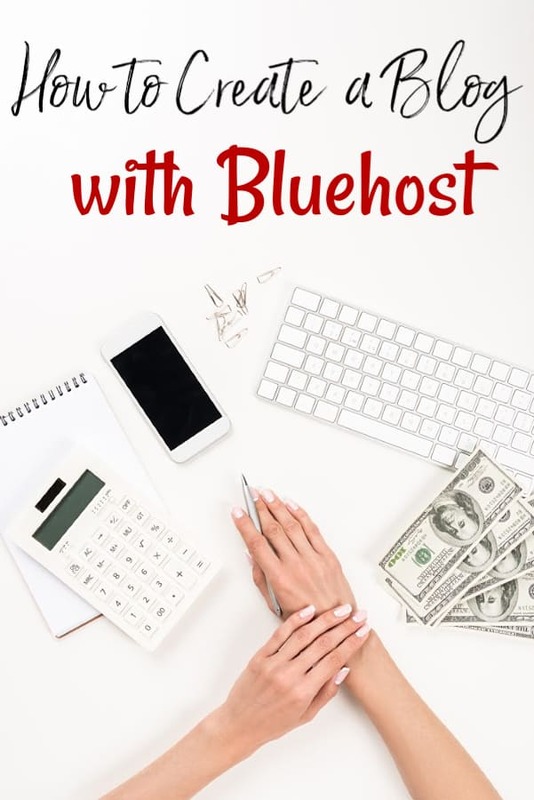 If you can’t afford to pick up my book or you simply don’t want to (really, I do recommend it), there are over 600 posts on this blog and every single one of them are geared toward helping you save money and cut your expenses. Even the smallest savings add up and unless you’re making huge lifestyle changes, you will hardly notice the things you’re doing to cut your expenses. If you’re still stumped, start with the small things such as shutting off lights and ceiling fans when no one is in the room. You can also subscribe to Six Dollar Family emails and get a free copy of my other book, The Ultimate Guide to Cutting Your Household Expenses! Just fill out the form below to get your copy!